"Here's a little something to tide you over until the official Steve Jobs biography is released. The editors of Fortune have compiled a selection of stories about Jobs into an ebook for Kindle called ‘All About Steve'." 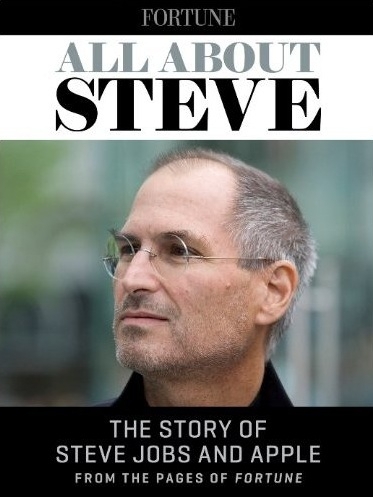 And with "All About Steve: The Story of Steve Jobs and Apple from the Pages of Fortune" you get 17 stories over the last 20 years that the editors found worthy of compiling into this eBook. Available now at Amazon.com for $8.79 USD.